Let’s take a look at some of the numbers. As with the waste report, there is more production reported in the last half of 2010 than the entire preceding year. Although there are more producing wells, my suspicion is that the real reason is poor reporting for the July 2009 to June 2010 report. As corroborating evidence of poor reporting, the earlier report includes significant production from wells that are “Not yet drilled”. This issue has been corrected for the last half of 2010. Only 26 Marcellus Shale wells are reported as plugged. This is fairly impressive, as the earliest Marcellus well in Pennsylvania was from 2006. Over half of the Marcellus Shale wells which have been permitted in Pennsylvania have not yet been drilled. Almost all of these are horizontal wells. Although the more recent report is for only half the length of time as the older one, this cannot account for the tenfold decrease in oil production. The amount of condensate nearly doubled, despite the fact that the reporting period was only half as long. Almost all oil and condensate production now comes from horizontal wells. PA Marcellus Shale Oil, Gas, and Condensate Production, July 1, 2010 to December 31, 2010. Please click the gray compass rose and double carat (^) to hide those menus. Although Washington county is one of several major producers of natural gas, the vast majority of the Marcellus Shale oil and condensate production in the Commonwealth comes from that county. Table 6: Natural gas produced by operator in Pennsylvania’s Marcellus Shale formation, 7-1-10 to 12-31-10. 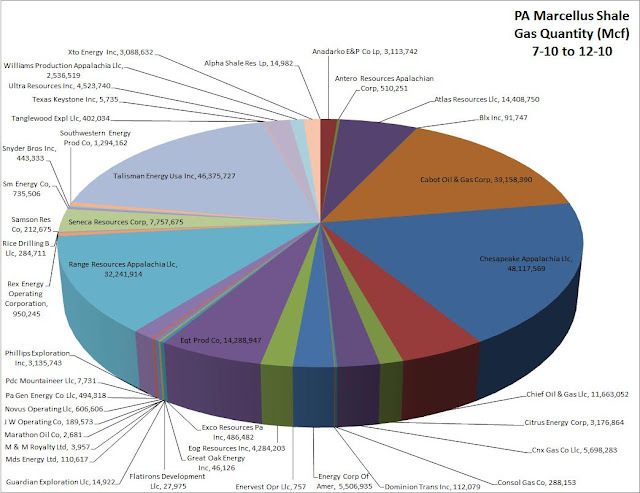 Chart 2: Natural gas produced by operator in Pennsylvania’s Marcellus Shale formation, 7-1-10 to 12-31-10. 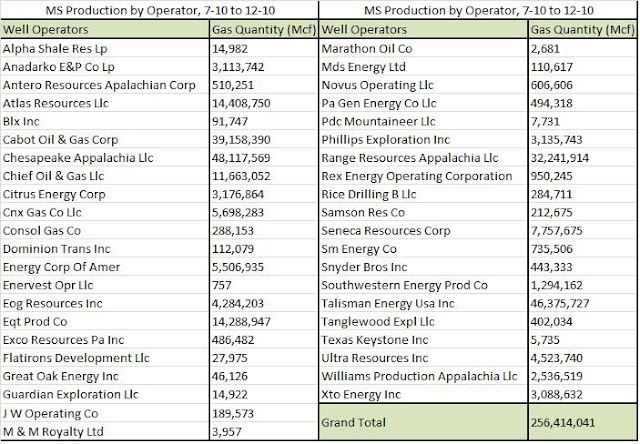 >I think it would be interesting to see the Marcellus "OIL PRODUCTION" in Washington County listed "By Operator" and "By Township".